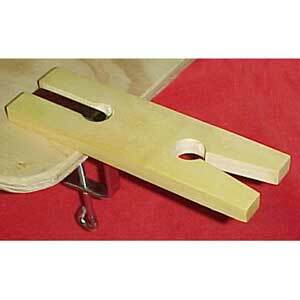 Handy work bench extension clamps to any bench or table top up to 2" thick. Positions work conveniently for filing, sawing or drilling. Ideal for use with jeweler�s saws. 7-1/2" long, 2-1/2" wide.